This is a part of Dentistry that is often neglected. In many ways it is the most important element of your dental treatment. The aim is to get you to clean your teeth and mind your diet in such a fashion as to prevent dental disease in the future. Cleaning your teeth properly is actually very difficult. 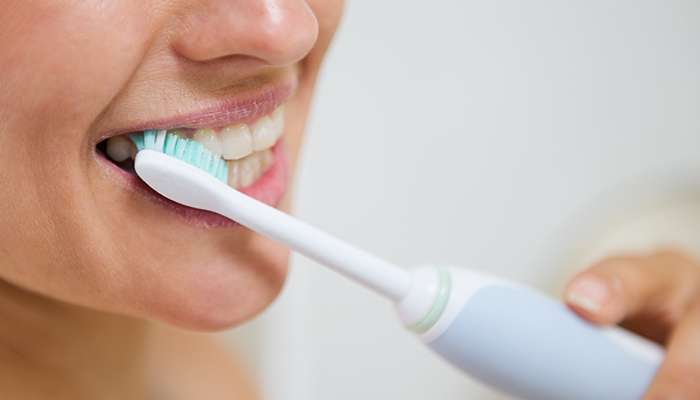 It is not possible to remove all plaque residues by simply brushing your teeth twice a day. It is important to floss your teeth regularly. In addition, numerous dental aids are available which help remove dental plaque in difficult to reach areas. These include; inter-dental brushes, inter-space brushes and various electronic aids such as rotary and sonic toothbrushes (which are proven to remove higher levels of plaque in certain situations), the water-pik, and various other gadgets. Dental decay is caused by bacteria digesting sugar and turning it into acid. It is therefore important to limit ones exposure to refined sugars and acids to prevent cavities from developing. This is especially important at an early age when long-lasting habits are picked up. Most oral hygiene and dietary advice is given by our Dental Hygienist. It is specifically tailored to each individual and monitored and reassessed at regular intervals. We are aware that due to the pressures of a busy lifestyle it is not always possible to follow dental advice to the letter and offer ongoing support and assistance.